On Saturday, October 25, 2008, eight individuals will speak on an issue that has troubled foreign policy wonks and government officials alike: How to forge a Middle East peace through social development projects – clean drinking water, quality roads, schools and community centers. What do a hotel manager, a prince, two priests and four international development practitioners have in common? This is not a joke. On Saturday, October 25, 2008, these eight individuals will speak on an issue that has troubled foreign policy wonks and government officials alike: How to forge a Middle East peace through social development projects — clean drinking water, quality roads, schools and community centers. The talks will take place at the Holy Land Christian Ecumenical Foundation's (HCEF) 10th International Conference, themed, A Decade of Seeking Peace: Pursuing Hope, Security, and Human Dignity, and held at the National Presbyterian Church, located at 4101 Nebraska Avenue, NW, Washington, DC. According to HCEF President/CEO, Rateb Rabie, "With the ongoing conflict and Israeli occupation, it's a challenge to deliver social services to Palestinian communities. HCEF has found success by working through Palestinian churches and other Christian institutions. But for our conference, we want to present a diversity of views and methods. I'm quite excited with this line-up." · George Ghattas, HCEF's Vice President and Country Representative. Corcoran, Saedeh and Ghattas will lead a workshop, titled, "Sustaining Economic Viability through Holy Land Support Programs: Economic Development and Holy Land Support Programs" (1:30-2:45pm). The panel will address Israeli military occupation of Palestinian territories, and the resultant violence that has adversely affected Palestinian economic development. The lack of tourism, jobs, investment, infrastructure, regional assistance and international support have created a desperate situation for Palestinians. 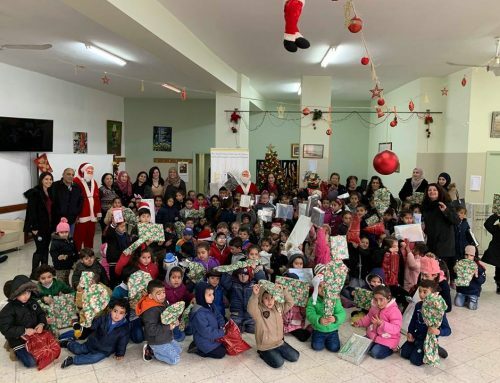 As head of HCEF's Bethlehem office, Ghattas offers distinct insight into HCEF programs that economically empower Palestine's Christian communities — and, inadvertently, their Muslim neighbors. In the past year alone, HCEF has created 109 job opportunities and over 2,500 working days, outsourced 18 contracts to local construction firms, and benefited 421 family members with stable income. Meanwhile, Corcoran's organization, ANERA, has provided Palestinian refugee aid since the beginning of the Israeli occupation in 1967. Last month, ANERA was awarded a $50 million grant from USAID to provide water and sanitation projects that serve the most needy Palestinian communities. Offering the business perspective is Saedeh, the owner and general manager/vice president of the Jerusalem Hotel in Jerusalem, a boutique hotel of his own design and an oft-frequented spot of journalists from the Washington Post and New York Times. Although sacred to Islam's Dome of the Rock and Christianity's Church of the Holy Sepulcher, the Jerusalem's Palestinian population has gradually been diminished by Israeli settlement and military occupation. A Palestinian Christian himself, Saedeh faces unique challenges. Simultaneously, Fr. Siryani, Br. Curran and Kort will co-host a panel on "Partnerships for Educational Initiatives" (1:30-2:45pm). This workshop will examine ways by which educational institutions and agencies can create partnerships in support of joint grant applications, resource acquisitions, and training of teachers and others. Fr. Siryani is the general manager of the legal department of the Latin Patriarchate in Jerusalem, and brings 13 years' experience in youth ministry and educational programs. Meanwhile, Kort's experience sits precisely on the other end of groups like ANERA, which implement $50 million USAID grants. Yet Kort's mandate extends to infrastructure rehabilitation, employment generation, social sectors development and humanitarian and emergency assistance — areas that transcend the day-to-day of classroom duties. Br. 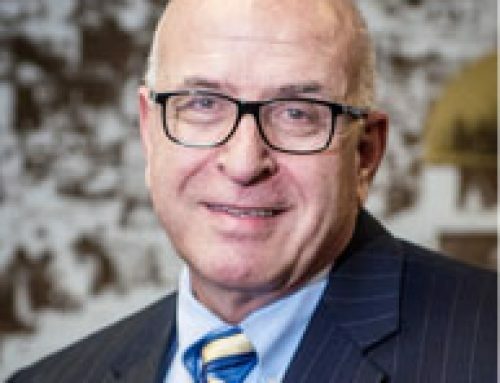 Curran's experience with Bethlehem University, the city's largest employer, will speak volumes on educational partnerships. Speaking at a 2006 convention in New Jersey, Br. Curran said, "I've never been closer to God than when I am in Bethlehem." Br. Curran's educational expertise is indeed complemented with his familiarity with the contours of Bethlehem. Commenting on the "Partnerships for Educational Initiatives" panel, HCEF's Rabie said, "Education is key to a better life. The more educated a population, the better it is prepared to address life's challenges, let alone under conflict conditions. This is part of the lesson that I hope people will take from this panel." An understanding of social development projects would not be complete without discussion on the political and regional context of Arab Christians in the Holy Land (Israel, Palestine and Jordan). This is why from 3:00-4:00pm, HCEF will feature a panel titled, "Arab Christians in Regional Context," featuring H.R.H. Prince Al-Hussein of Jordan and Abunasser of the International Center for Consultations in Israel. This panel will elaborate on their current status and project ways their living conditions could be improved, including dialogue opportunities within and across cultural and religious spheres. Al-Hussein's repute for eloquence and political analysis regarding the Israeli-Palestinian impasse is well known. However, the HCEF Conference will open a new window to the Christian lens of understanding. Finally, Abunasser's talk, "The Identity Crisis of Arab Christians in Israel," will focus on the oft-neglected topic of Arab/Palestinian Christians with Israeli citizenship (i.e. not the Palestinian Christians of the occupied territories). Although the Israeli Central Bureau of Statistics indicates that there are about 30,000 non Arab Christians living in Israel, Israeli Interior Ministry sources believe that this number goes up to about 200,000. Abunasser's lecture promises to bring eye-opening insights that may change received wisdom of this critical Holy Land population. In addition to a keynote speech by H.B. Michel Sabbah, Latin Patriarch Emeritus of Jerusalem, the conference features over 16 internationally-recognized speakers from diverse backgrounds, including Jewish American author Anna Baltzer, and leaders from Americans for Peace Now and the American task Force on Palestine discussing the viability of the two-state solution. HCEF's 10th International Conference will be preceded by an Awards Banquet on Friday, October 24 at the Hyatt Regency, in Bethesda, MD. The Banquet will feature the "Path of Peace" Award honoring of Theodore Cardinal McCarrick, Archbishop Emeritus of Washington. According to HCEF President, Rateb Rabie, Cardinal McCarrick is being recognized for "his tireless efforts to promote reconciliation between Arabs and Jews and amongst Christians, Muslims and Jews in the Holy Land." Other awards to be presented include the HCEF President's Award, which will be presented to Eve Van Sickle from Cincinnati, OH, and to Grace Abularage from Torreon, Mexico; the Living Stones Award, which will be given to the Archdiocese of Cincinnati, OH, Archbishop Daniel E. Pilarczyk; and the HCEF Award, which will be presented to Musa Nasir, M.D. of Arcadia, CA.